A new version of Honda's brilliant 1.6-litre diesel engine for the CR-V. Allow me, for a moment, to deviate into a little bit of family anecdotage. My father in law, some years ago, was running a premium-badged German saloon, a car he had bought as a retirement present for himself. And it gave him no end of trouble from an engine that couldn't maintain its temperature to a dealer network that too often left him high and dry. Suffering a joint final thermostat and sense of humour failure, he basically abandoned the offending car on the forecourt of a recalcitrant dealer and marched right in the door of the nearest Honda garage. He drove out that sunny day in 2007 with a brand new CR-V and hasn't looked back since. In the eight years of driving, running up a pretty galactic mileage, he has had one faulty alternator replaced under warranty and one rear windscreen wiper motor replaced by an €80 part from a scrap dealer. That is the true appeal of a Honda. Forget the legendary motorsport stuff, forget high-performance machinery like the NSX (original and new) or anything with a Type-R badge - the thing that makes a Honda so appealing is that it will, give or take, never break. Day after day, month after month, it will start, stop and operate just as you expect it to. Somewhat surprisingly, in this day and age, that can't be said for all. The current CR-V has been somewhat emblematic of Honda's problem though - and that problem is that it's hard to know quite where the brand fits. It's supposed, in a European sense, to be almost a rival for the likes of BMW and Audi, but in a broader, global sense (and especially in the keystone American market) Honda is a mass-market Toyota rival. When launched, the current CR-V awkwardly straddled that line - priced against the Germans, but with cabin appointments and such things as an ancient auto gearbox that felt rather too cut-price. Now though, things are much better. The CR-V is getting a major update and upgrade for 2015. With it comes a smarter cabin (it looks basically the same but the materials used are of a far higher grade than before) a new version of the 1.6-litre i-DTEC diesel engine (replacing as it does the old 2.2-litre unit) and some tweaks to the prices, the suspension and the infotainment. Sitting in the middle of that revised dash is Honda's new touch screen system. Standard on ES spec and above, it uses a slick Android-based operating system to provide really quite intuitive connection between vehicle, smartphone and you. There are some clunky bits (the settings menu is especially byzantine) but generally, it's easy and pleasant to use. It's a massive improvement on the old setup at least. The 1.6-litre i-DTEC engine has been around a couple of years now in 120hp form and has been powering the front-wheel drive CR-V, with CO2 emissions of 119g/km. It's now been given a major boost in grunt, lifting power to 160hp and torque to 350Nm (beating and matching, respectively, the old 2.2) and making it compatible with four-wheel drive. It also dramatically reduces the CO2 emissions compared with the old 2.2 - granting a reduction from Band C to Band B1 for the manual gearbox (as reviewed here) or from Band E to Band B2 for the new nine-speed auto (which is available later in the summer). It's a delight to drive too. It's not perfectly silent; there's actually a more or less constant diesel growl at low-to-middling speeds, but it's always well suppressed and, in proper Honda tradition, the six-speed gearbox flits effortlessly from one ratio to the next. Honda says you'll get 57mpg (4.9 litres/100km) out of it and that feels believable - we managed high-forties. The sequential turbos (small one for low revs, big one for high revs and loads) mean it has pretty much effortless grunt. The way the rest of the CR-V drives has also been improved. The suspension has been adjusted and the track widened, and a new steering setup added. The changes aren't massive and the CR-V still lacks the sharpness and dynamic verse of, say, the Mazda CX-5 or Ford Kuga, but it's a very satisfying car to drive. You just never tire of it and long journeys are especially pleasant. It's mechanical enough in feel to be engaging, but never tiring, helped by the improved NVH suppression. What else? Well, the cabin is spacious and comfortable (albeit it's less impressively roomy in the rear than the old CR-V), the instruments clear even if there's a bit of the display overload from which the Civic also suffers and prices have taken a CO2-assisted tumble - there's around €2,500 of a saving compared to the old 2.2. Equipment levels are up, with an automated city braking system now standard on all models and a new Dynamic Safety Pack standard on EX models and above. That includes a lane keeping assistant and active cruise control that's useful but a bit too sharp on the brakes when something pulls in front of you. It's not a perfect car - the styling suddenly looks a little over-cooked, especially relative to the quietly handsome Audi Q5 and there is still no seven-seat option, but it's roundly impressive and one of those cars that quietly, but inexorably, worms its way into your affections. Not perfect then, but perfectly pitched. 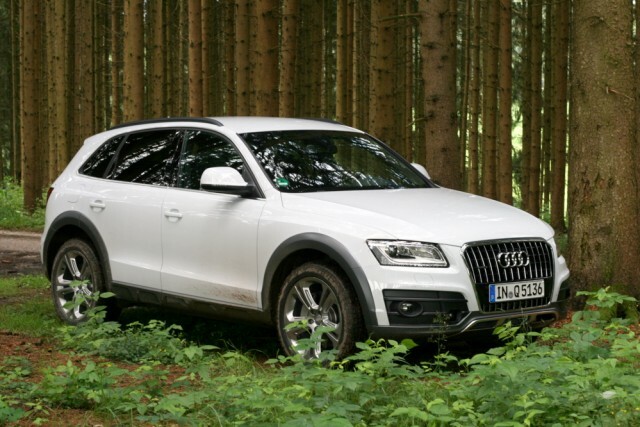 Audi Q5 vs. Honda CR-V 1.6 i-DTEC AWD: the best of the mid-size SUVs. Good looking, capable, desirable. 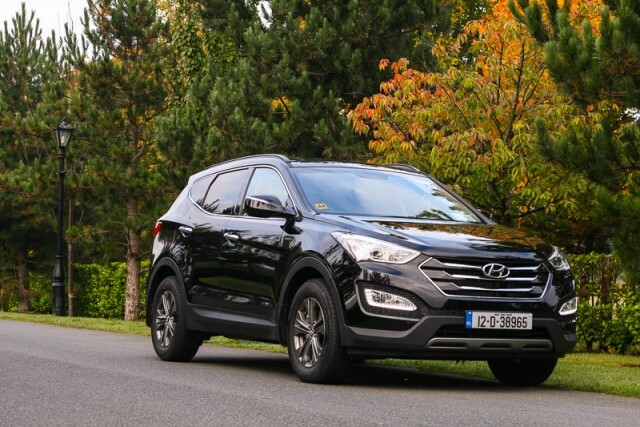 Hyundai Santa Fe vs. Honda CR-V 1.6 i-DTEC AWD: brash styling, impressive performance, but more expensive to run than the Honda. 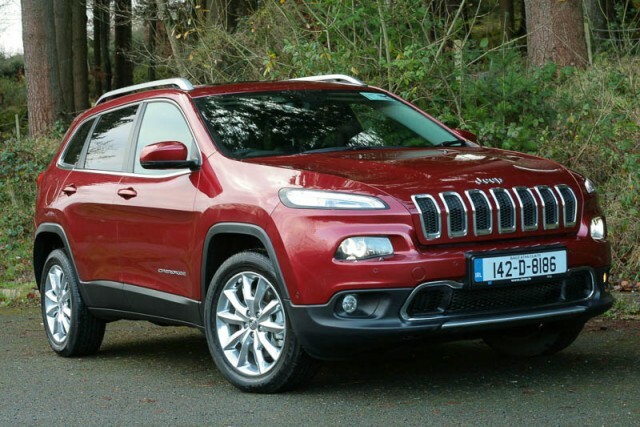 Jeep Cherokee vs. Honda CR-V 1.6 i-DTEC AWD: left-field choice but an interesting one. Capable off-road but pretty expensive when you start adding options.